How many of you have counted calories in an attempt to lose weight? How many cleanses or diets have you tried to reach your weight loss goals? If you’re like me, you probably have tried countless strategies to reach your goals with little to no success. Over the past 5 years, I was a pretty consistent “gym rat;” exercising at least 4 times per week and even including “2-a-days.” When I got bored with my exercise regime, or didn’t notice any changes in my body, I would change my routine. However, I was neglecting the most important part in obtaining my goal; which was nutrition. Like many others, I fell victim to attempting to “out-exercise” my bad eating habits. I was a “yo-yo dieter,” eating healthy for a couple months and then reverting back to bad eating habits. I also was not fully aware of the ingredients contained in the food I consumed. When attempting to reach a weight loss and/or fitness goal; it can be pretty discouraging when your results do not reflect the time and effort you put into the gym. I did not realize I was sabotaging my work outs with bad foods. I believed that I would make up for a few days or a weekend of bad eating by punishing myself at the gym. It has been almost one year since I fully absorbed and applied the 80/20 rule to my life; 80% nutrition and 20% exercise. Notice I used nutrition in place of diet. Nutrition is a lifestyle, dieting is a trend. I also learned most people struggle to make clean eating a lifestyle for a few reasons. They don’t know what to eat or when to eat it. Clean eating has a bad rap for being boring or bland. The following tips can serve as a guide on your journey to beginning and/or maintaining a healthier lifestyle. Do not skip breakfast! I often hear people say “I’m not hungry in the mornings.” Or, “I don’t have time for breakfast in the mornings.” When you skip breakfast in the morning, your blood sugar drops even lower, resulting in increased hunger and less energy. This can also set you up to snack on foods high in fat and sugar throughout the day. Studies have shown people who lose weight and keep it off eat a well-balanced breakfast (high in fiber and protein, low in fat and sugar). Breakfast is the most important meal of the day. By eating breakfast, you are “breaking the fast” since we usually haven’t eaten since the previous dinner. It is the fuel that kick starts our bodies and gives us energy for the day ahead of us. Eat Eat Eat! There seems to be a misconception that depriving ourselves of food will result in weight loss. Again, our bodies are vehicles and they need fuel. Food is the fuel that speeds up our metabolism. When we go long periods without eating, our body goes in to starvation and stores energy for fat as reserves rather than burning. For example, if you eat one meal per day, such as dinner, your body is in starvation/fat storage mode for approximately 16 hours per day (6-8 hours while you sleep at night and at least another 8 hours during the day before dinner), This sounds like a long time to go without food. The longer you wait to eat between meals, the hungrier you get and the more likely you are to overeat. Research has shown that our blood sugars begin to fall after about 3 hours. Healthy snacking in between meals are great ways to keep our bodies fueled. Drink Water! Sometimes it is difficult for the body to tell the difference between hunger and thirst. Before snacking and even before meals, drink a full 8 ounce glass of water. Research has also shown that drinking a full glass of water right before a meal helps us to feel fuller, eat less and aids in digestion. How much water does our body need? Most of us are used to the formula of 64 ounces of water per day. However, research reveals it depends on your size, weight, activity level and where you live. We should drink between half an ounce to an ounce of water for each pound we weigh every day. For example, if you weigh 140 pounds, you should drink between 70 ounces and 140 ounces of water per day. This amount will increase if you exercise or live in warmer climates. Snooze to lose! Oftentimes we can get so occupied in meal planning and exercise that we miss another key ingredient in this process; rest! Recent research has shown that sleep plays an important role in weight management. People who sleep enough (6-8 hours per night) have lower body mass indexes (BMI) than people who don’t. Sleep affects the levels of several hormones in our bodies; including those that regulate hunger and growth. Lack of sleep can cause us to feel hungrier and give into our “late night cravings.” While we sleep, our body also produces more growth hormones than when we are wake. Listen to your bodies, rest is an integral part of living a healthier lifestyle. Plan: When we fail to plan, we plan to fail. In order to be successful in beginning and maintaining a healthier lifestyle, we need a plan. What are your goals? What days will you shop? What is your monthly budget? When will you cook? Will you meal plan for the week or the day? Planning our meals for the week or even the day is imperative as it helps to ensure we don’t skip meals and fall victim to impulsive snacking on bad foods. Meal planning (and snack planning) ensures we always have food available to us. The first year of business is tough. In fact, statistics have revealed that 50% of businesses fail in their first year. During my first year in a partnership as a small business owner, I had my share of struggles and successes. The first 6 months were the toughest; there was so much to do, so much to learn. I was transitioning from working independently as a full time employee to being in a business partnership as a part time entrepreneur with a long-time and dear friend. We had our share of excitement and ups and downs which allowed us to grow individually and as partners. Over the past few months, I spent time reflecting on the lessons learned throughout my first year. It has been on my heart to share these lessons, as they may speak to those trying to find their way as business owners. Don’t quit: This is by far the most important lesson I have learned. By quitting, we rob ourselves of success and guarantee permanent defeat. Starting a business is fun, exciting and pretty scary. Maintaining a business through the highs and lows is not fun and cause most of us to quit. The fortune is in the follow-up: I dread making phone calls. This “feeling” may be linked to fear of rejection. However, I have grown more fearful of what may happen if I don’t make that phone-call or worse; fail to follow-up. As a business owner, it is on you to follow-up on projects, referrals, etc. There is no boss to hold you accountable for your lack of follow up. You are the boss. The success or failure of your business is on you (following up). Treating your business like a “Fortune 500 Company”: My business may not yet be featured as a fortune 500 company. However, I still choose to treat it as such. If you treat your business like pennies, you will make pennies. Our professionalism, quality of services offered, quality of marketing materials and promotion of events all speak to the quality of our company. Would you be your own customer? Prepare for war in the time of peace: My late grandfather and successful entrepreneur, Earl Hemby always preached this saying to my family. There will be times when business is “booming” and there will be times when business is slow. As a business owner, you don’t get the benefit package of an employee. There are no paid vacations, sick days or paid time off unless you provide them. Can your business survive without you running it or working in it? What if you get sick? It is imperative to plan for unforeseen events that may require you to be away from your business. If your mouth is closed, your doors are closed: When we opened our doors on November 1, 2013, I envisioned HandinHand Counseling Services, LLC having satellite offices throughout the surrounding counties of Pittsburgh and eventually expanding throughout the East Coast. By the way, this is still my vision for HandinHand. I know in order to make this happen; people have to know we exist. We are blessed to have the ability to use social media as a free marketing tool. I have also learned the importance of being present in the communities of our targeted populations, attending events and collaborating with other providers. I am just as excited about HandinHand as I was when my partner and I envisioned our baby. Working in the business versus working on the business: “Build the business and the customers will follow.” Working on the business is an ongoing process. When we work on the business we are developing business plans, engaging in personal development activities (seminars, reading, conferences, workshops)handling the administrative tasks and promoting events. Working in the business includes collaboration and customer service. No limits: I may have mentioned many unappealing aspects to being a business owner. However, I am sure most if not all business owners would agree that owning your business is a surreal feeling. You have complete control of the direction of your business. You make the rules, policies and have the freedom to use your creativity to grow your business. You are your own boss! Each day I set at least one goal geared toward improving my business. The goal can include collaborating with a referral source to reading a chapter of a personal development book. The lessons learned in accomplishing and even falling short of goals in 18 months of being a business owner were designed to shape me into the person I am today. I am not the same woman who opened her first business in 2013. I am still a work in progress, my journey continues. 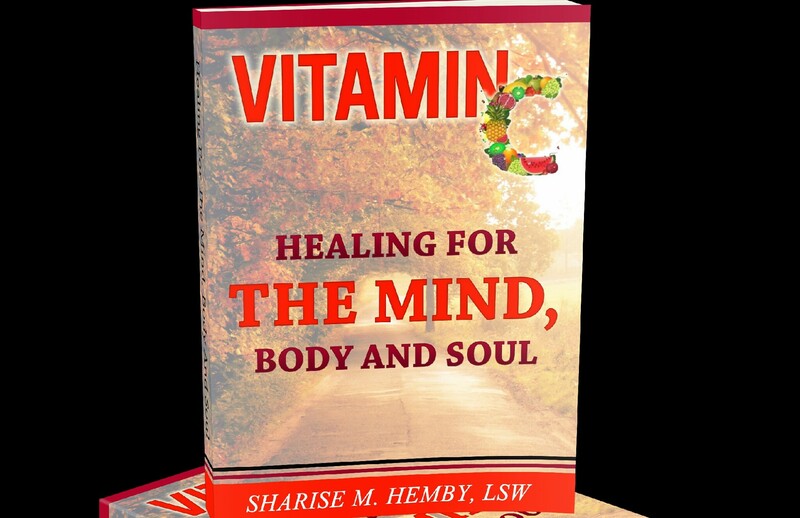 Also check out Sharise Hemby’s book; Vitamin C: The Healing Workbook here. Please share your experiences as a new or seasoned business owner. Maybe you are considering starting a business, please share your thoughts, fears concerns and questions.